This morning with no more than 60 hours in your logbook you and your instructor are walking across the tarmac at No. 2 SFTS Uplands; about to fly a Harvard for the first time. The instructor, barely twenty one years old, says “Hey, don't worry, she looks like a tough kite but you’ll catch on quick”. With only the Tiger Moth under your belt you’re having a hard time keeping it together as you climb up and into the cockpit. This scene played out daily across Canada for the duration of the war. The North American Harvard, with its 550 HP Pratt and Whitney, was the aircraft that taught virtually every WW2 fighter pilot how to fly and fight... and now it’s your turn! This September (now October) the Borden Flying Club is holding a weekend BBQ where our special guest Bjarni Tryggvason, Canadian Astronaut and accomplished demonstration pilot, is bringing a MKII Harvard to Edenvale. This is a fantastic opportunity to fly the Harvard, arguably one of the most iconic aircraft in aviation history. Every person, whether you’re a pilot or not, can opt for a flight. For every pilot it’s an opportunity to fly the Harvard, including a few loops and rolls for those adventurous types, while logging sticking-time as Second Pilot with an Astronaut. Don’t forget to bring your logbook as Bjarni will be signing too as PIC. See first-hand what our Dads, Uncles and Granddads experienced over 70 years ago in service to our country! A donation of only $300 for a 20 minute flight, or $400 for half an hour is required. 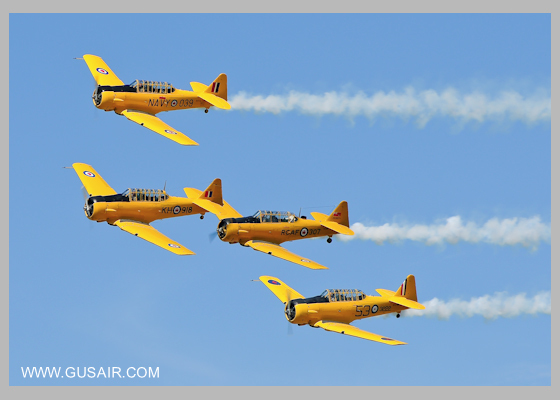 In both cases a $50 membership is required as all flight crew must be members of the Canadian Harvard Aircraft Association, a not-for-profit organization. 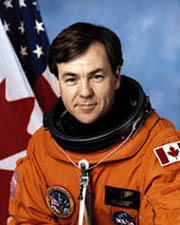 The actual flight time is closer to one hour as there is a mandatory preflight and cockpit briefing along with the taxi time. Every flight crew receives a certificate, signed by Bjarni from the CHAA as proof of the flight and your flight signed in your logbook. 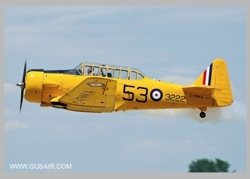 The Harvard is a historic aircraft and a valuable piece of Canadian aviation history. All proceeds from your flight are used to keep the Harvard flying, hopefully for generations to come. Please help us arrange this event, take a minute and fill out the RSVP form below this article. Please indicate whether you can attend the BBQ and we’ll look after the rest. Thanks!